This Card Is Definitely Worth The Price Of An ESPN+ Subscription. January 19, 2019, will mark the beginning of a new era for the Ultimate Fighting Champion — the ESPN era. The Barclays Center in Brooklyn, New York will host the 1st UFC event to air on ESPN+. To get this new partnership off to a hot start, the promotion has put together a pay-per-view worthy card. UFC Fight Night: Cejudo Vs. Dillashaw features the return of one of the sport's most popular stars, "12 Gauge" Paige VanZant. Former title challengers Glover Teixeira and Joseph Benavidez will also be in action; both men will be looking to cement their status as top contenders in their respective divisions. The co-main event will feature former NFL star, Greg Hardy. The hard-hitting heavyweight prospect has polished off all 3 of his professional opponents in under a minute. In the main event, we have 2 current UFC Champions squaring off for the flyweight strap. 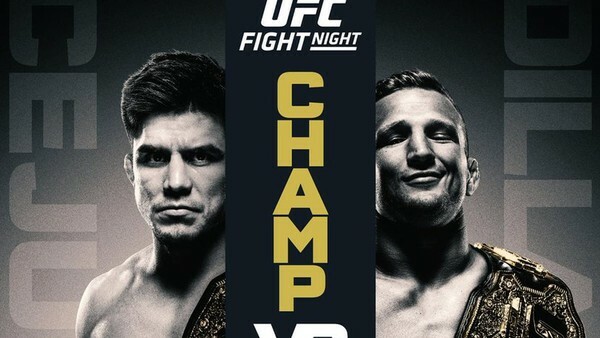 Following his upset victory over Demetrious Johnson, flyweight champ Henry Cejudo looks to defend his title against the current bantamweight king, TJ Dillashaw. If Dillashaw gets the win, he will become just the 7th fighter in UFC history to hold titles in 2 divisions. Before this historic event get's underway, let us take a few moments to breakdown the main card and predict which fighters will get their hand raised in Brooklyn.